As leaders in the health care system, physicians regularly engage in the stewardship of health care resources. In a complex system with competing priorities and demands, resource stewardship is often challenging. Fortunately, the competencies required for good stewardship can be learned and with the introduction of CanMEDS 2015, these competencies will soon be a part of every trainee’s toolkit. As a busy clinician teacher, you recognize the importance of stewardship in your practice and in the system every day. You may be wondering though how you will ever find “extra” time to prepare your residents for the challenges associated with stewardship? The good news is that a group of physicians and residents, the College of Family Physicians, Choosing Wisely Canada and the Royal College have done the heavy lifting for you. Introducing three new toolkits to help you teach residents the foundations of resource stewardship. Designed for you to use with as much or as little adaptation as you choose; the toolkits include things like modifiable power point slide decks, annotated bibliographies, how-to guides, etc. Use your time wisely: take 5 minutes now to save yourself hours down the road. Use these free Resource Stewardship toolkits in your resident training programs. These toolkits are available as a free downloadable digital resource. Provides faculty and trainees with a foundational knowledge of resource stewardship principles and the ability to recognize opportunities in daily practice to apply resource stewardship concepts through clinical care, teaching and assessment. This toolkit covers the concepts that are foundational to resource stewardship and help learners identify opportunities to apply resource stewardship concepts in daily practice. There are five versions of the PowerPoint available; each tailored for specialty-specific, target-audience relevance. Disclaimer: the alternate slide decks do not have speciality-specific cases for all subspecialties; if your specialty is not represented, please use the cases as a guide from which to build your own customized case. This document contains a preamble to the toolkit and has been created to facilitate use of the slide deck and to assist the user in preparing themselves to present the PowerPoint presentation. It has a more in depth discussion of the slides notes available in the PowerPoint presentation. Contains helpful resources relating to Resource Stewardship for those wishing to learn more. Each reference contains a brief summary of the study, relevance of the study and its relationships to other studies in the field; an evaluation of the research methodology (if applicable) and our article conclusions. Resource stewardship and quality improvement are growing domains of research and many residents now choose to undertake scholarly projects in this field. This toolkit is designed for faculty who have limited experience in the planning, supervision and assessment of resource stewardship projects. This 24 page document outlines the key steps in conducting a resource stewardship project and walks users through the steps of five different types of resource stewardship projects. Each module is accompanied by real-life examples from residents across Canada. To reflect the specific skill set of resource stewardship, these projects should be assessed and evaluated differently from other research and health care projects. This assessment tool can be used to assess competencies related to the ability to undertake resource stewardship projects. A list of tips for supervising a successful resource stewardship project. Focussed on communication skills, this toolkit provides a framework that you can use to teach your residents how to communicate with patients and families that request a medically unnecessary test/treatment. Teaches communication skills associated with resource stewardship and provides a framework for how to communicate with patients and families that are requesting a medically unnecessary test/treatment . Use this to teach a communication framework to your residents. You can use this slide deck as is, but you may also want to modify the material to be more relevant to your discipline and/or practice environment. A short guide to creating your own role play scenarios. Includes a convenient checklist. This document contains two rating scales that can be used for formative/summative evaluations of residents speaking with patients regarding resource stewardship communication both in formal settings (e.g., OSCE scenario) and in informal settings (e.g., ward-based evaluations). The assessment tools are based on the communication framework that was taught in the communication toolkit slide deck. They are meant to help in the assessment of communication around resource stewardship and can be adapted to the assessment goals. Two family medicine/emergency medicine focused OSCEs on resource stewardship and patient communication. 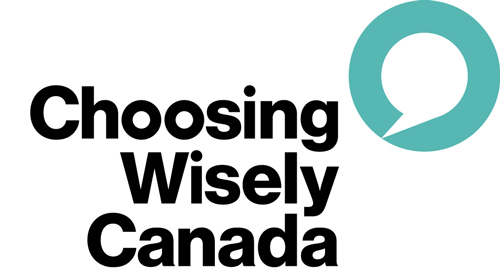 Following the outline of each station is a set of suggestions for ways to modify the station for other specialties based on the Choosing Wisely Canada recommendations. * More information for family physicians will be available in the coming months.